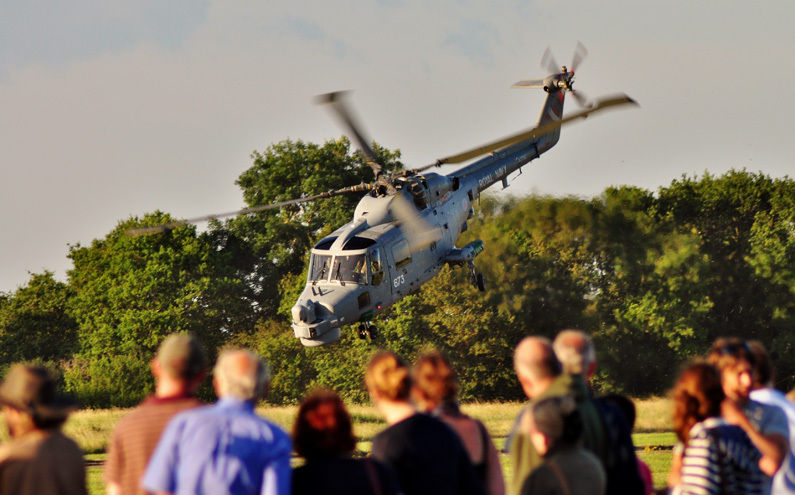 The Merryfield site, near Ilton, is part of the Royal Naval Air Station Yeovilton. It is mainly used for helicopter training exercises by day and night and they can often be seen in the skies over Curry Mallet. Originally it was built as an RAF airfield in the Second World War. More information about its history can be found on the South West Airfields Heritage Trust website.